A $6.3 million fund established after the Pittsburgh synagogue massacre will primarily be split among the families of the dead and survivors of the worst attack on Jews in U.S. history, organizers announced Tuesday. 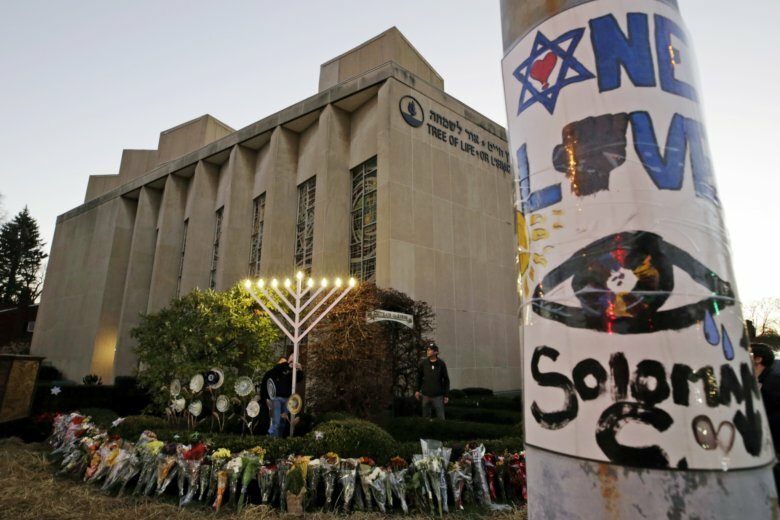 The Jewish Federation of Greater Pittsburgh set up the Victims of Terror Fund after the Oct. 27 attack at Tree of Life synagogue that killed 11 and wounded seven. The fund took in more than 8,500 donations from 48 states and at least eight countries. Most of the money, about $4.4 million, will be given to those most directly affected by the attack, including victims’ families and two seriously injured congregants. The committee awarded about $437,000 to nine congregants who were trapped inside Tree of Life, “fearing for their own lives and, in some cases, watching relatives and friends being murdered,” the report said. Police officers who were shot and wounded while responding will split $500,000. The committee also set aside $650,000 for the three congregations that share space at Tree of Life and were gathered for Sabbath services when the gunman walked in and opened fire. Some of that money will pay for repairs to the heavily damaged synagogue, which the committee noted will be “a costly, complicated and extended process.” The balance of the fund, $300,000, will be given to a future memorial, as well as an education initiative. The fund stopped accepting donations Feb. 27. “The outpouring of support from around the world has been tremendous,” Meryl Ainsman, chair of the Jewish Federation’s board of directors, said in a statement. An anti-Semitic truck driver named Robert Bowers has been charged in the attack. Authorities have said Bowers expressed hatred of Jews as he opened fire with an AR-15 rifle and other weapons. Bowers pleaded not guilty to federal hate crimes and dozens of other counts, but his lawyer has signaled he might be open to a plea deal. Federal prosecutors in Pittsburgh have previously indicated their intention to seek the death penalty.